In a restaurant business, your primary concern should be to generate more and more profit. While one way to do this is to increase your sales, the other can be done by cutting down your restaurant costs. In a restaurant, there are many expenditures, and all of them seem indispensable. However, some hidden restaurant costs can be easily reduced or eliminated that would help you increase the overall profit. In this article, we will help you locate the epicenter of these hidden restaurant costs that are having a negative impact on your restaurant’s profit. Starting a restaurant business isn’t an easy affair. The proper ratio, sales to investment, is 3:1 meaning that Rs.191.31 of sales are generated for every Rs.63.77 spent on construction, FF&E( Furniture, Fixtures, and Equipment), and opening costs. To put this in perspective, if space requires Rs 63.77 million to build out and open, Rs.191.31 million in sales should be generated. Using this ratio allows the operator to recover the initial investment in about three years and enjoy high returns for the remainder of tenancy. Most operators have a ratio of about 1:1 and with a projected 10% or less profit per year the operator will not return the investment until well into the maturity of the business. Spend as little as you can to open the restaurant to keep this ratio in line. It is rather known that hiring of employees and staff requires a lot of time, energy and money. From advertising for recruitment, the cost involved in training the staff, giving them salaries for a few months will all go into waste if the staff resign and leave your restaurant within a few months from joining. Hence, retention of staff must be given due importance. Firstly, you must train them well, organize coherent training sessions and provide them with a training manual, which they can look through in times of need. Organise weekly meetings, where you can sit with all your staffs, talk about their performance, praise some, motivate the others, take their opinions on how the operations of the restaurant can be improved, and ask them if there is anything that is disturbing them both in the professional and at the personal level. These actions will create a sense of belongingness amongst your staffs. As long as they feel needed you can be sure that they will not leave your restaurant. Training is as much as important as hiring a cook or a server. Merely hiring and not training them well enough will not do any good for your restaurant. Let them know every dish on the menu and the ingredients that go into it and how will it be prepared. If your staffs are not aware of the dishes then how will they explain them to your customers? And if they are not able to explain the dishes how they will sell? Hence make sure that they are entirely aware of what they are selling. Instead of just providing them with a training session and a manual during the training period, why don’t you organize a training session in every quarter? Doing so will help your staffs to refresh their memory, and they will also be in tune with the new insertions in the menu. Having unskilled staffs who will not be able to sell, retain or give a splendid customer experience actually can increase your restaurant costs exponentially. The restaurant sector is notorious for internal theft. Most of the restaurant runs into a loss because of internal theft and pilferage. Nowadays it is hardly possible for restaurant owners to visit every outlet every day, this gives the restaurant staffs a free leash to carry on with their misappropriations. Restaurant owners do not even get the slightest hint when it begins unless it reaches the extreme and gets the restaurant business into trouble. 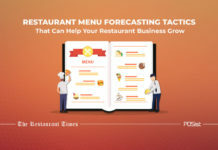 From double billing, duplicate billing, giving unreasonable discounts and concessions, to pilferages in the kitchen, all these can increase your restaurant cost. The returns of money you invest in your business will be enjoyed by your staffs who are smart enough to fill their pockets. To avoid such situations you must from the very beginning employ a restaurant management system, that will help you manage your restaurant operations right from your mobile and from anywhere in the world. Such a system will help you to have tight control over your restaurant operations and will reduce your dependency on your manager when you are not physically present at your restaurant. Through the Point of Sale System, you will get the detailed reports of the total number of bills generated, the total number of foot-fall, the most and least sold items and such other information to all your outlets. This will ensure that no misappropriation happens behind your back, which will, in turn, have a positive impact on your restaurant costs. Most of the restaurant owners fail to understand the consequence the generation of kitchen waste can have on your restaurant costs. From mistakes in measuring quantity while preparing a dish, to serving an excess amount of food to the customers, to letting the perishable ingredients stale, to ordering items while they are still in stock, all of these can shoot up your restaurant costs. To avoid such possibilities, start using a restaurant management software that will help in the recipe management and recipe costing for all your dishes. All the recipes, in specific quantities, will be mentioned and the chefs will merely have to follow it. It is not that difficult to follow, right? In addition to this, if your POS helps you to have tight control over your stock and inventory, then it will be a cherry on the top. Having control over stock and inventory will ensure that your kitchen never runs out of stock and it also makes sure that no item is over ordered. This will drastically reduce the generation of kitchen waste and automatically reduce your restaurant costs. We hope that after reading this, you have garnered a comprehensive knowledge of the various hidden restaurant costs and expenses that have a terrible impact on your restaurant’s profit. Since you have already located the sources, what are you waiting for? Fix the problems and wait to see how the profits of your restaurant shoot up.